This week, I continue my review of the health impacts of GMOs, as outlined by the Institute for Responsible Technology. I won't lie: I'm starting to develop a strong bias against them, because nothing they've said so far has been accurate. And this is my fourth installment on the topic. I start at a section entitled "GMOs and liver problems". There are 3 statements and 4 references tied to the section and one can be discounted right off the bat. Before I continue, I feel the need to explain when/why articles or references can be discarded (this explanation is brought to you by Biochica's spouse, who runs a constant commentary in my mind). The section ended up being pretty long so it is now a permanent section in this blog. Based on the abstract, this paper seems to be a review of existing literature on the subject of the impact of GM foodcrop on human health. The paper's conclusion is that funding is needed to develop tools for the identification and elimination of GM crops in our food system. What does that have to do with livers?? I did a search in pubmed using search terms "rat GM potato liver". I found two papers on the topic and did a quick read of the abstracts: both had done feeding studies on rats using GM potatoes (one had done the study for 5 generations) and both found that there was no difference between rats fed GM potatoes and those who had been fed non-GM potatoes. This was comments to Food Standards Australia/New Zealand, written by the Public Health Association of Australia (see the References tab for an explanation on "comments"). The link provided by IRT was dead and a search in google only brought up this same statistic in other anti-GMO pages. I searched pubmed looking for a paper using search terms "rat canola GM liver" and different variations of this, and didn't find anything. It seems that this statistic has been recirculated many times, but I have no idea where it came from. There were two references for this citation (one for each sentence). For the first, I read the entire paper and although it may sound harsh, I have no idea how it ever got published. My biggest beef with the paper is sample size: they took 24 mice; half ate food with 14% GM soybean and half didn't. Then, they sacrificed the mice at 1, 2, 5, or 8 months of birth. If you do the math, that represents only 2 mice per group. The authors state that there were differences in the shape and components within the nucleus of liver cells. But due to the low number of mice they used, you can't really determine if the difference in these was due to the age of the mouse or due to the type of food. Every time there was statistical significance for food type, it was also paired with statistical significance for the age of the mouse. Since changes in the shape of liver nuclei are known to happen with age, I don't really think it's possible to parse apart cause/effect. This study should have been done with all the mice being sacrificed at the same time point, so that there would only be one variable. Even if the study had been done correctly, the authors state that they don't have a hypothesis on how this could be happening. The second study is a follow-up on the first, and I found the paper online. They took 12 mice and split them into two groups: they fed half of them GM soybean and half were fed non-GM soybean. Then after 3 months, they swapped the diets between the two group and examined the livers (pretty sloppy to not include a group that was fed non-GM and a group that was fed GM throughout the duration of the experiment, as controls). The authors state that there were differences in components of the nucleus of liver cells. When they performed experiments to back-up the microscopy observations, they didn't find statistical significance. So, in summary, two papers with inconclusive findings, even if you overlook the flaws in the controls and numbers. Another section of IRT's "Health Risks" where no risks were identified. On the plus side, I relearned a lot about the nucleolus that I had forgotten. In the fifth installment, dissecting the IRT's webpage, I'll look at GMOs, reproductive problems, and infant mortality. Yikes! (although, given everything I've read so far from their webapge, it will probably be more like 'meh'). Labelling GMOs - Why not? This week, I wanted to look into the topic of labelling GMOs. As I start writing this blog, my perspective is "who cares"? If people want to purchase GMO-free food, then they should have that right. Similar to buying organic labelled or fair-trade labelled, if it's important to the buyer then why shouldn't they be able to do the same? So, I'm interested in reasons why pro-GMO parties would be against labelling. I started by reading a study carried out by the Food Standards Agency in the UK. The UK has had GMO labelling for several years and you can read all about their guidelines. The goal of the study, published in 2012, was "To explore UK public views on the labelling of GM (genetic modification) on foods, and the options for labelling food as GM-Free in the UK". The 129-page study looked at numerous areas, including how labelling impacts decision making about buying foods, and public awareness about GMOs. There were 70 participants in the study from across the UK, broad age range, and range of education. Some findings seemed pretty obvious. For example, there was strong association between people who check the label and concern with food quality or healthy eating. I was shocked to learn that only 2% of participants check for GM ingredients in their labels. Even when the survey prompted them, 4% of participants said that they check for these ingredients. I was interested to read the section on cost of GM and was a bit disappointed that this topic wasn't investigated in-depth. The only conclusion in this section was that most participants didn't want to bear the burden of GM-labelling costs, although anti-GMO individuals and highly health-conscious participants didn't care about paying extra. 69% thought it important for that animals not be fed GM plants, for items like meat, milk, or eggs (I was surprised about the eggs). A recent study examined food label designs. Although I didn't have access to the article, the abstract states that even if the label is stating that the product is free of genetically modified ingredients, it increased the consumer's hazard perception and decreased purchase intentions, relative to a no-label condition. A study from 2003 found that most Americans do not know about GMOs, and their opinions are not yet firm on the technology. Although only 1% of participants mentioned that the labelling of GMOs in food was important to them, 94% said that GM ingredients should be labelled when prompted with the question. 52% of individuals surveyed said that a label indicating that food has a GM ingredient would make them less likely to purchase the item. A news poll on GM labelling generated very similar results. 93% of participants want to see labels stating if food has been genetically modified, and 57% said that they would be less likely to buy foods with such labels. 52% of those surveyed also though that these foods were unsafe. In "huh... that's interesting" category: there's a WTO agreement, where food safety standards are set by each member nation and must be based on science. Hypotetically, if a labelling law were to pass using the argument that GMOs are not safe, then the evil Monsanto could lodge a complaint with the WTO against the government on the basis that there's no scientific evidence for the law. So... Labelling... I'm not sure where I stand on this one anymore. The best solution would be for people to learn about GMOs and to make an informed decision. But in the course of writing this blog, I'm learning that it's not easy, even for people with strong backgrounds in science. If you've been following this blog, you'll know that I still haven't read anything to merit food labelling, and it bothers me that people would be swayed easily enough to think that GMOs are bad for you even by reading a label that says "GMO-free". Basically, I don't want to pay the price for labelling and I don't want my kid growing up thinking that his mom is evil. So, I ask the question: if you're concerned about GMOs, why don't you just buy "Certified Organic" labels? The USDA has clarified that "organic" also means GMO-free, so why is an additional label required? Is the label not specific enough? I honestly don't know the answer to these questions, so please feel free to comment below. I resume my review of health impacts of GMOs from the Institute for Responsible Technology. I pick up where I left off: at a reference to damaged intestines. Although damaged intestines sound like a fascinating read, I lack access to the article. What I can glean from the abstract is that they fed GM potatoes with Bt to mice and found microscopic differences in the intestines of GM-fed mice, so I tried to find similar articles/studies (although I can't tell anything about the experimental design or statistics from the abstract). One study whose abstract I read fed Bt potatoes to rats and didn't find a difference between the GM-fed and control rats. However, the study was only for 30 days, which may not have been long enough. That was the closest study I could find. With the relative absence of information on the topic, I think it's fair to say that someone should try to reproduce the results of the study, although an equally fair argument is that it shouldn't matter whether the Bt toxin is in a potato, corn, or peach, and a lot of studies have already looked at the effect of Bt-corn on mice (no... Bt peaches have not been made... I'm just craving a peach cobbler with vanilla ice cream right now). Moving on... The next sentence goes back to allergies: "Farm workers throughout India are getting the same allergic reactions from handling Bt cotton as those who reacted to Bt spray". The citation is from a 2005 news article out of a paper in India that outlines that farmers in a district in India had allergic reactions when working with GM cotton crops, and cows had died when eating seeds from the crop. Studies have not been done and it's basically someone's opinion that these reactions were due to the crop. As demonstrated in my excellent study, which links the manufacturing of televisions to a reduction in global polio rates, just because two events take place during the same period of time, doesn't mean that they're related. First paper (The use of amino acid sequence alignments to assess potential allergenicity of proteins used in genetically modified foods): no paper available or even an abstract. Based on the title alone, it's an in silico analysis. That means that the analysis was performed computationally. Computational analyses are fantastic: you can identify genes and proteins that your queried sample is similar to. They save time and definitely save money. 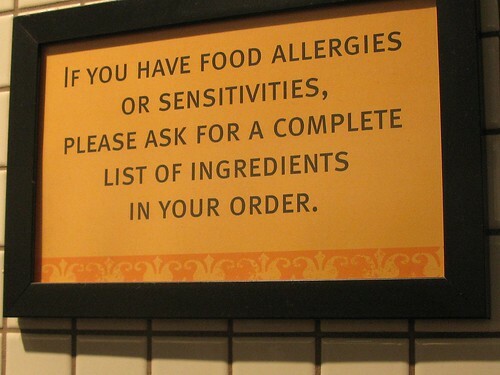 But a computational query would be a first step in identifying similar allergens. The next step is to go out and test it. Based on the title alone, I'm assuming that the lab test was not done. Second paper (Screening of transgenic proteins expressed in transgenic food crops for the presence of short amino acid sequences identical to potential, IgE – binding linear epitopes of allergens): I read most of the paper, and it's along the same lines as above. The authors recommend computationally comparing GM proteins to known allergens to give a prediction of the GM protein's allergenicity. Note the use of the word prediction. Third paper: An unpublished study. Let me remind you again that a work of total fiction can be an "unpublished study". My childhood diary is an "unpublished study" on pre-adolescent behaviour. There are often times very good reasons why works of science remain "unpublished": flaws in the study's design, missing data, etc. Don't get me wrong: I have a paper that never got accepted and remains "unpublished" because I needed to do extra work in order to make the paper meatier. But I also don't pass around the paper as if it had been accepted and peer reviewed, which is what I feel that the Institute for Responsible Technology is doing here. Fourth Paper: No access, but the book seems to outline concepts, not novel research. I looked at the author's CV and most of his work around the time of this paper centered around identifying GM proteins in crop using various methods. What strikes me as odd is that the book is from 1995. There has been so much work done in this field since. Shouldn't there be a more recent publication for this reference? In summary, none of these papers demonstrate that "GM proteins have properties of known allergens", as stated by the IRT. In fact, from what I could glean, none of the papers seem to have done any allergy testing at all. However, as previous stated, there have been papers that have looked at the topic of allergic reactions in GMOs and have not found anything. "Allergenicity. As a matter of principle, the transfer of genes from commonly allergenic foods is discouraged unless it can be demonstrated that the protein product of the transferred gene is not allergenic. 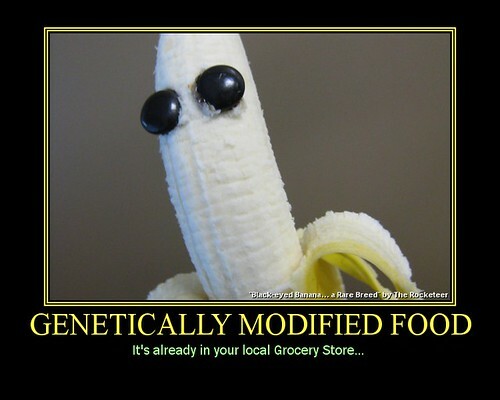 While traditionally developed foods are not generally tested for allergenicity, protocols for tests for GM foods have been evaluated by the Food and Agriculture Organization of the United Nations (FAO) and WHO. No allergic effects have been found relative to GM foods currently on the market." Doesn't that directly contradict the statement from the IRT? Next week, I'm going to skip the IRT's section on "GMOs may make you allergic to non-GM foods" because I feel like I've dedicated enough space to the topic. I'll go directly to liver problems caused by GMOs. YAY!! !